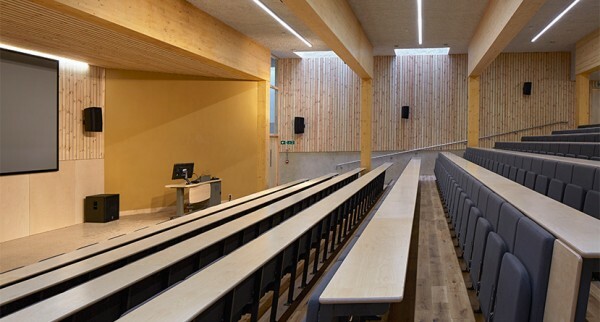 The University of East Anglia Enterprise Centre has won the Sustainable Achievement category at the Education Estates Awards. The Enterprise Centre is an iconic building at the forefront of the low carbon revolution and BA Systems is proud to have played its part in combining with Morgan Sindall to make this building a reality. 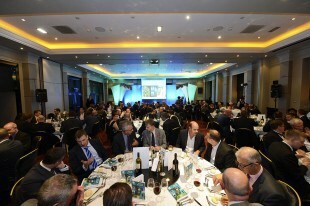 The award recognises the commitment of all those involved in the project, to set a sustainability benchmark in the worldwide construction industry. 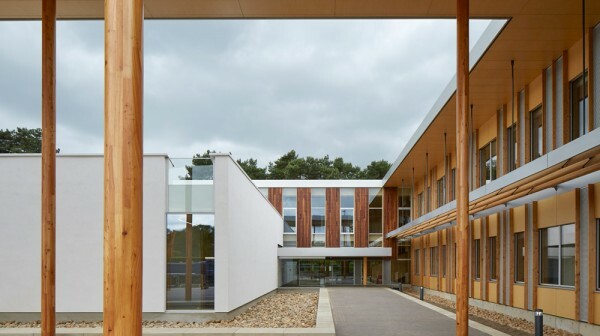 The dynamic new gateway building to the University campus, was conceived as an ecological interpretation of the UEA’s fine architectural legacy. While its timber frame and straw cladding have been specified to reduce embodied carbon and promote the use of renewable materials, the bold and contemporary design has been influenced by the strong and confident modernist lines of Sir Denys Lasdun’s Teaching Wall and Lord Foster’s Sainsbury Centre for Visual Arts. 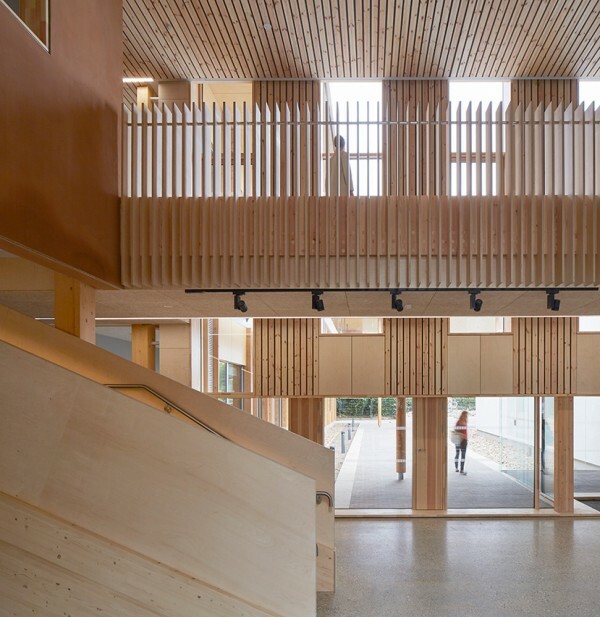 The scheme, which was managed by the Adapt Low Carbon Group, has been dubbed as Britain’s greenest and one of the most sustainable buildings in Europe. 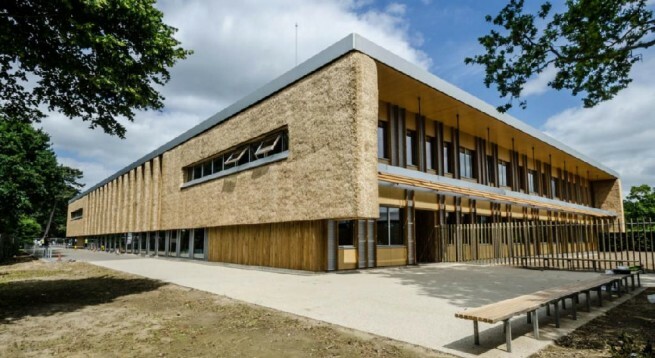 As a first in the UK university and business sectors, the Enterprise Centre will further advance UEA’s low carbon credentials and set new standards in building concept and design, through the innovative use of natural materials and bio-based products. A key feature of the scheme was the locally-sourced materials. 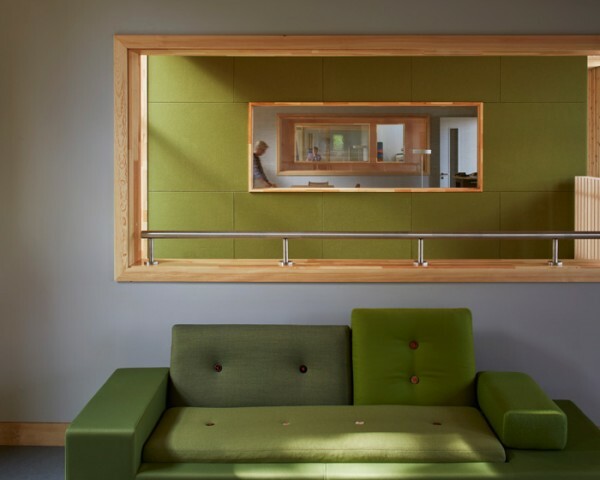 For example, the timber was sourced from Thetford Forest, located just 30 miles from the Enterprise Centre site. It was then processed and sawn locally in Thomson Saw Mills, north of Norwich. The straw cladding, a ‘world construction first’, was sourced locally to then fill timber cassette modules, off-site, in barns across Norfolk. 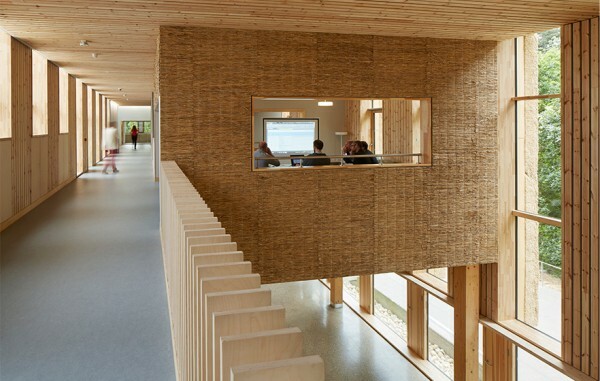 These prefabricated straw thatch panel cassettes, created a striking, and highly innovative sustainable envelope. It is because of the BA Systems commitment to a more sustainable and responsible environment, that made them a perfect partner in this project. BA Systems supplied and installed B10 Wall-Mounted Handrails to a variety of areas throughout this iconic building. This included handrail in the renowned lecture theatre. B40 Frameless Glass was also installed to the auditorium to emphasise the clean and crisp design.